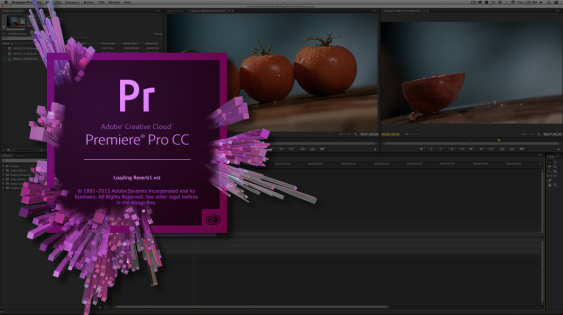 In this lesson, we’re going to continue our discussion of the Toolbar, as it’s something you’re going to be going back to over and over again, when you start out working in Adobe Premiere Pro CC. In this lesson, let’s take a look at the two trim commands, the Ripple Edit Tool and the Rolling Edit Tool. The tools sit one on top of the other on the Toolbar, and might seem very similar, but they perform different but important tasks, when you already have media in your timeline. The Ripple Edit Tool is designed to grab either the incoming or outgoing edit, and when you drag that edit down your timeline, it will shorten or lengthen the clip you have dragged. 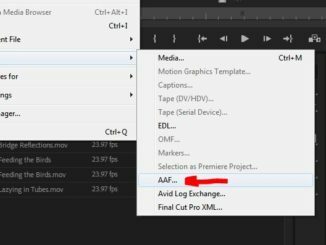 But it will keep the next edit in your Premiere Pro CC timeline the same duration, and move everything (yes all clips down the timeline) either forwards or backwards, depending on the direction you dragged. The Rolling Edit tool, on the other hand, performs more or less the same, but the big difference is instead of altering only the shot that is being dragged, you are directly impacting the two shots on either side of the edit you selected. The big difference between the two commands is that the Ripple Edit tool can break your timelines sync if you’re not careful, and the Rolling Edit Tool won’t. Kevin P. McAuliffe is one of the Senior Editors at Extreme Reach in Toronto, Canada. His current clients include Paramount Pictures, Warner Bros. Pictures, Walt Disney Pictures, and E1 Entertainment to name a few. You can follow him on Twitter @kpmcauliffe.